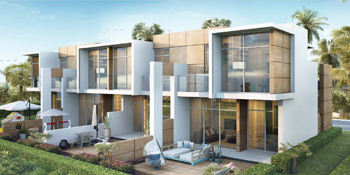 Damac Properties, a leading luxury real estate developer in the region, has announced the launch of Sahara Villas, within an international golf community and at the heart of Dubailand. The units are all attractively priced, starting at Dh999,999 ($272,175), with a four-year payment plan, says the developer. 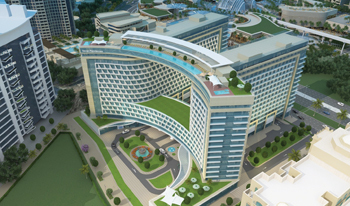 The Anantara Residences Sky Collection ... will feature high-end fittings. UAE-headquartered upscale residential, hospitality and commercial property developer Seven Tides has launched its Anantara Residences Sky Collection. The studio apartment sizes range between 546 sq ft and 636 sq ft and feature high-end fittings and finishes and floor-to-ceiling windows. “Our Anantara Residences Sky Collection will appeal to a wide range of home buyers and investors, for whom prestige, quality and a strong ROI (return on investment), are prerequisites to purchase,” he notes. The Dubai developer has rolled out an attractive payment plan for the studios priced at Dh1.2 million ($326,611), under which the customers need to pay only 10 per cent of the rate upon reservation agreement; 40 per cent on sales and purchase agreement; and the final 50 per cent on completion in July 2018. In addition to access to the Anantara The Palm Dubai Resorts’ private beach and the 10,000-sq-m temperature-controlled swimming pools, residents can use the wide variety of leisure facilities, including the fully equipped gym, tennis courts and children’s play areas. They also have access to any of the resort’s top-class restaurants and the renowned Anantara Spa. The District in Seef ... by Noor Enterprises. Noor Enterprises Holding has launched ‘The District’, a mixed-use development in Bahrain comprising an office property, extensive retail space and a high-end residential tower. Situated on the northern shoreline of Seef, The District will introduce an integrated and self-sustaining community to the market, which reflects the project’s ‘work, shop, stay’ objective, says Savills, a leading property expert. 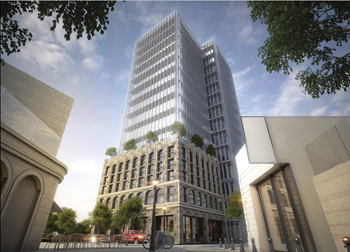 The UK-based Savills has been signed up by Noor Enterprises as development consultants for the project. Its scope of work will primarily include property valuation, development consultancy, market research and property sales and management services. Savills will also act as the interim-leasing agent for The District Tower which will boast a 14-storey building providing 14,000 sq m of office space with panoramic views of the Arabian Gulf. Bahrain-based contracting firm Cebarco has already started construction work and the tower will be ready for delivery by the second quarter of 2018, says Savills. The District Tower offers a prestigious location near the Ritz Carlton Hotel with excellent access to highways, featuring a luxurious entrance lobby with a 6-m-tall ceiling. Key amenities in The District include an unique club-level facility, guest valet parking, tenant parking in a secure underground basement besides 24-hour reception and security services, and designated floor elevators for privacy and additional security.